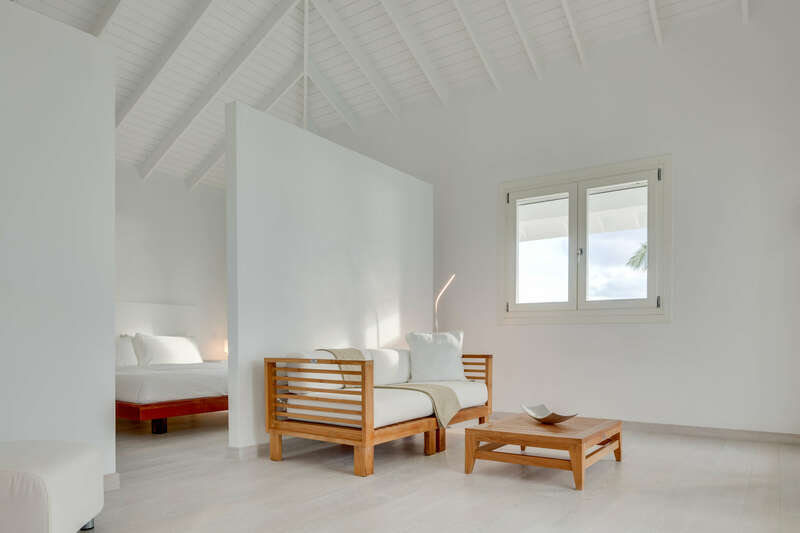 Featuring bleached oak wooden floors throughout, and crisp white walls, the interiors of Guanahani Beach Villas are luxurious in their classic simplicity. Double-glazed French doors in the living areas flood the space with natural light, while an abundance of windows throughout the villas welcome a cool breeze coming off the ocean. 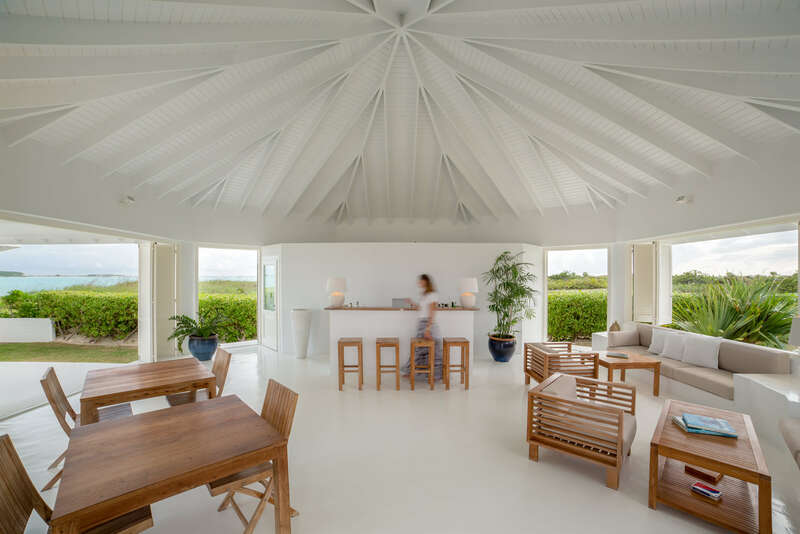 A sturdy cement roof ensures longevity, while double-glazed, hurricane proof windows are installed throughout offering a future owner peace of mind. Careful attention to detail continues in the villa bathrooms, which feature Hansgrohe faucets, as well as Bassinishower heads, Pozzi Ginori ceramics and white mosaic Bisazza shower tiles, all of which were imported from Italy. As with all the villas, the steel used is A 316 marine grade stainless steel and the exterior is finished with elegant full-length wooden shutters. 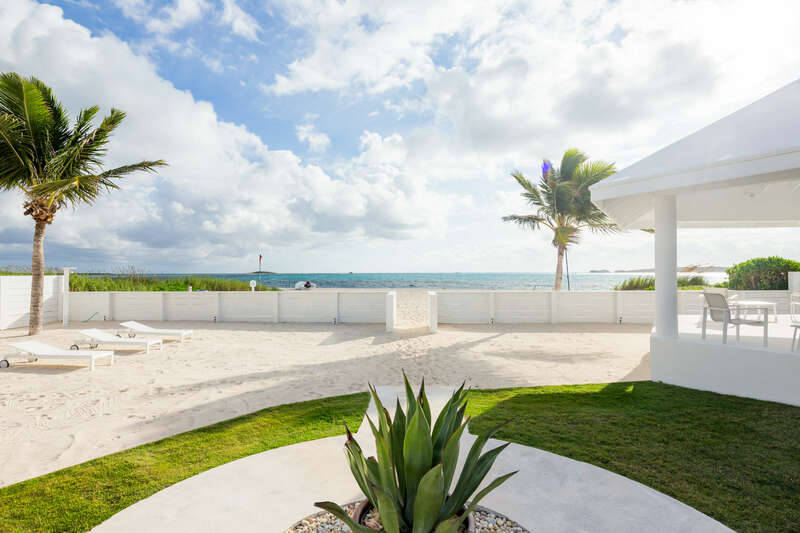 Additionally, the spacious patio located just a few steps from a secluded strip of white sandy beach provides an ideal spot for alfresco dining, whilst taking in a serene seascape. The 12,647 sq. ft vacant lot to the West offers generous room on which to expand and continue the calm coastal vibe. Operated by both solar and photovoltaic systems, Guanahani has the added advantage of having water and electricity produced by independent power sources. 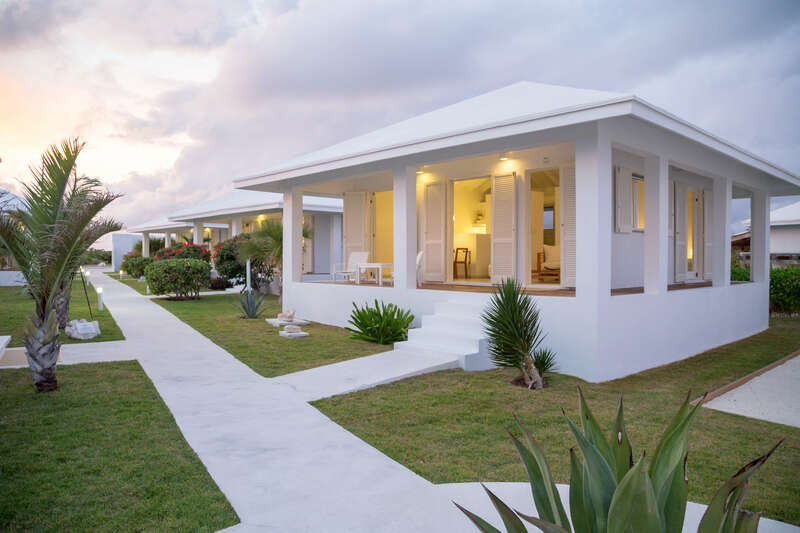 Tucked away on the southeast coast of San Salvador, on 1.5 miles of powder soft sand, Guanahani Beach Villas straddles two lots, offering room on which to continue the coastal calm vibe. 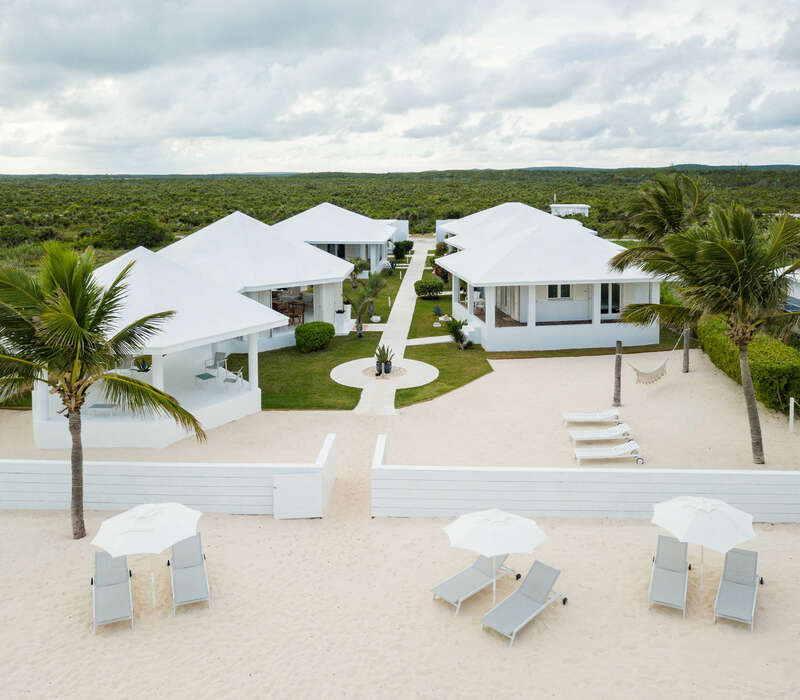 Existing in harmony with the kaleidoscope of colours the Bahamas calls home, Guanahani Beach commands our attention with whitewashed structures set amongst vibrant surroundings. 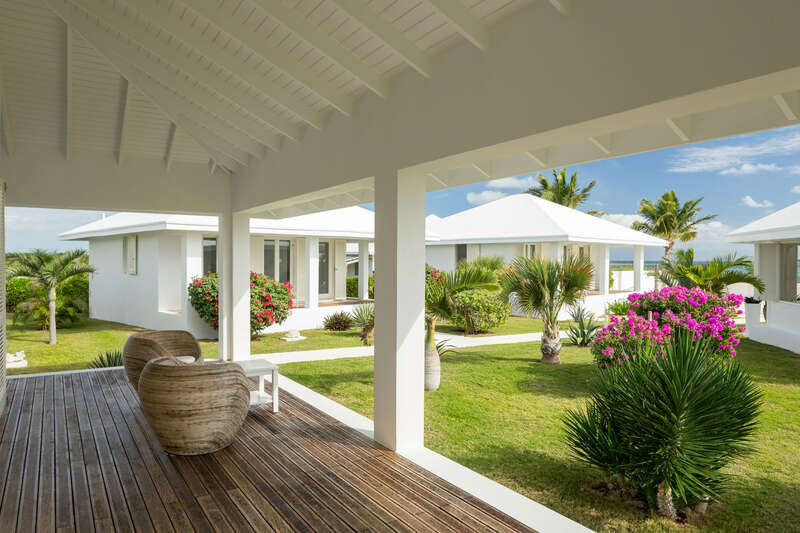 Constructed from the finest materials imported from Italy the four villas, which comfortably sleep ten, come complete with generous verandas finished with Iroko wood floors. 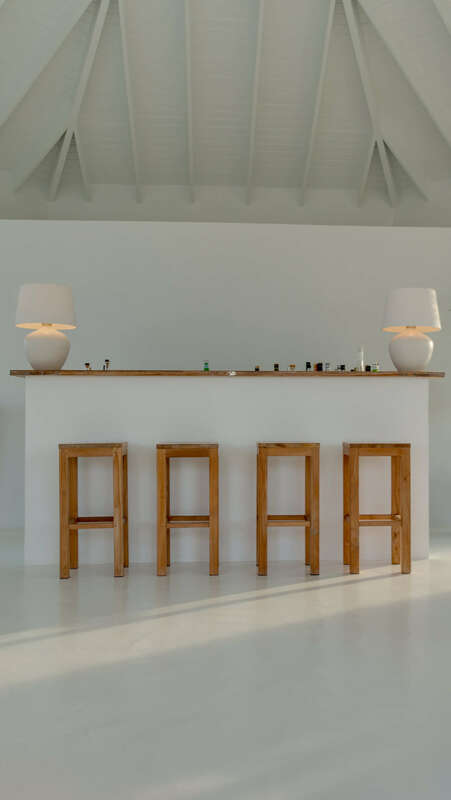 The smartly laid-out villas are the perfect setting for the timeless teak furniture found throughout. 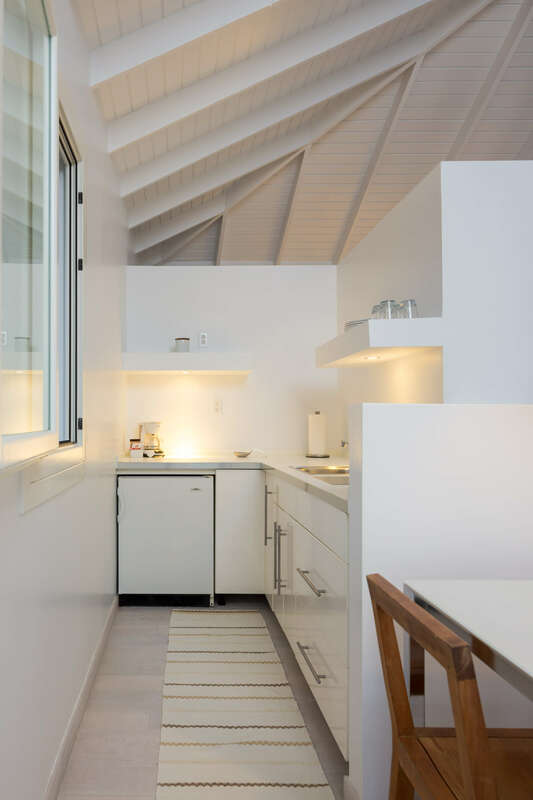 Adjacent to the main living space and set on an open plan, each villa features an individual kitchenette finished in the same clean style, with marine grade stainless steel hardware. 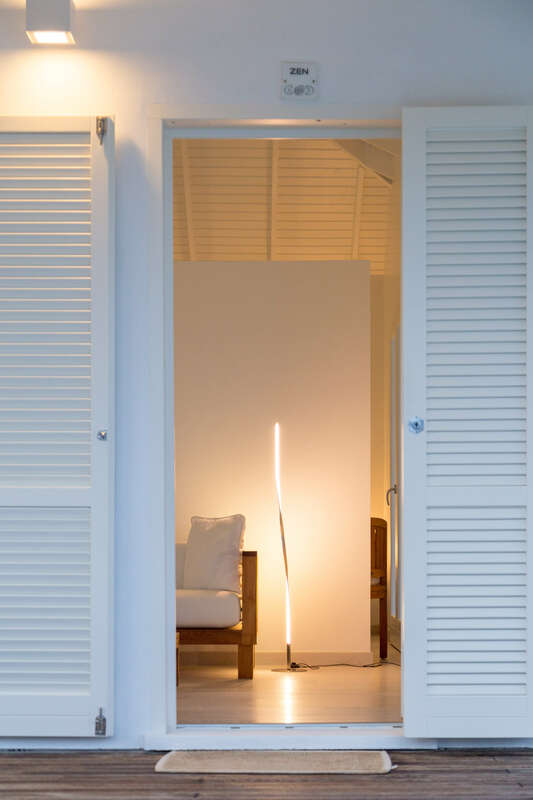 Each villa features elegant full-length wooden Louvre shutters and Italian imported lighting from TwentyFour7, Artemide and Flos lighting. 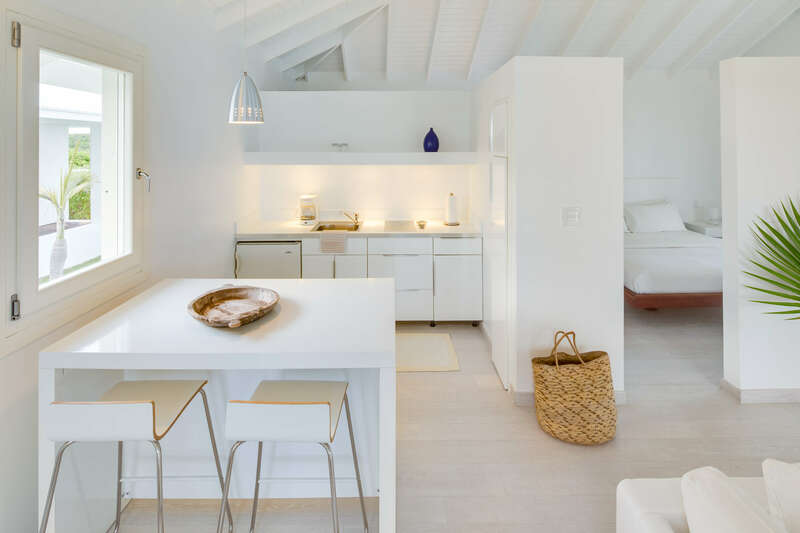 Perfectly positioned to provide the ideal spot to converge and socialize, the separate dining villa features Il Giardino Di Legno teak wood furniture and a countertop to match, as well Epoxy-Resine floors. Offered turn-key, the villas are currently being used as an exclusive Beach Resort. 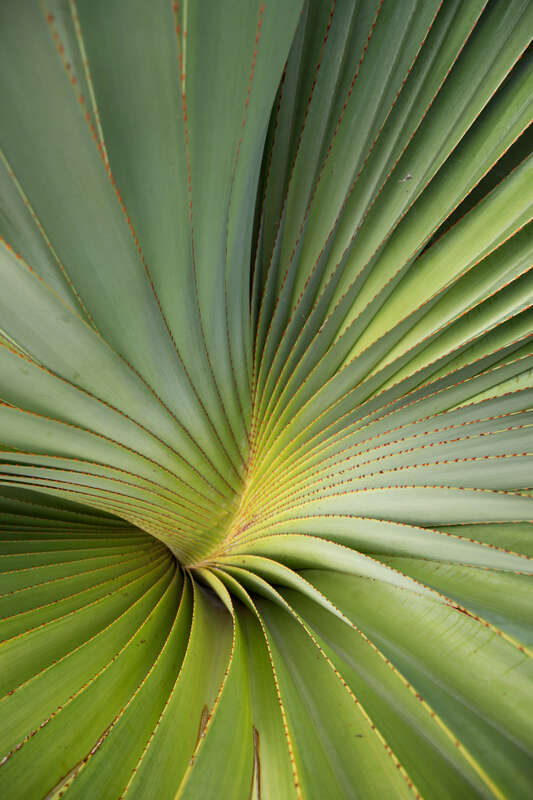 Impeccably maintained, the property can be smoothly transitioned to a new owner who may wish to continue operations as a resort, or use as a private home. 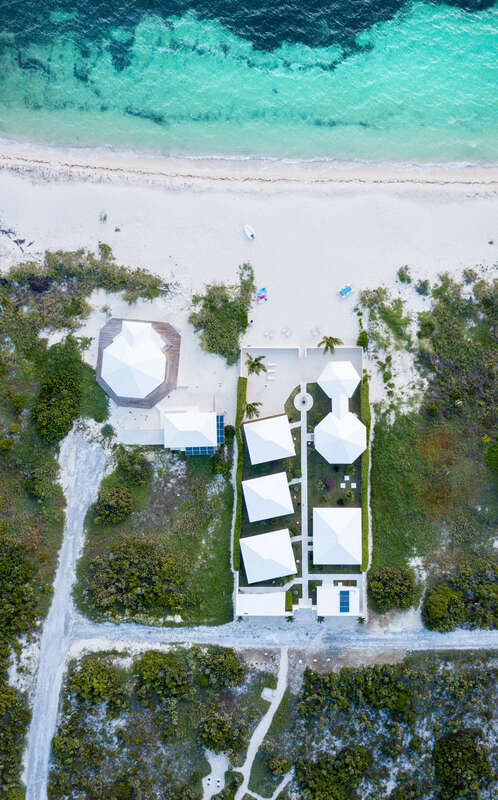 Asking price includes a fully equipped Sports Center complete with kiteboarding equipment, kayaks, a catamaran and a boat equipped with a 25HP engine.